How do I request a ClearID Unlock Code? 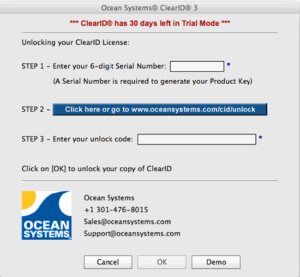 Detailed instructions with screen shots can be viewed by accessing the ClearID Product Guide through the ClearID interface. A copy was also stored on your C drive during installation. Once you open the guide, goto the Appendix section for more details. Follow the instructions on the following screen to submit your request via the internet.